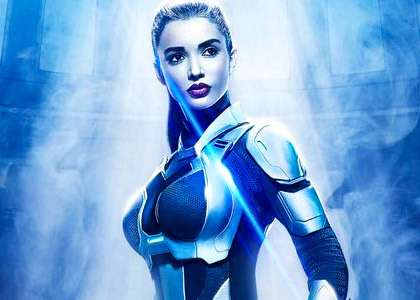 Rediff.com » Movies » Like Amy Jackson's look in 2.0? VOTE! Does the British actress look hot? The much awaited sequel to Enthiran (Robot) -- titled 2.0, and starring Rajinikanth, Amy Jackson and Akshay Kumar as the antagonist -- is all set to release on January 25. Amy's look from the film has been revealed on social media. Director Shankar shared the poster (above) and wrote, '#2point0 song shoot starts today'.